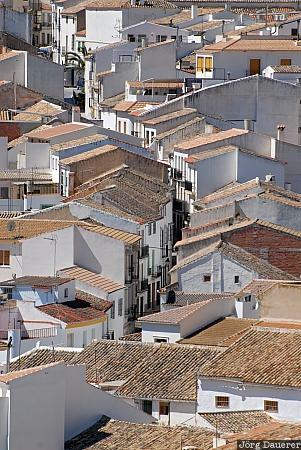 The houses and roofs of Luque seen from the moorish castle above the city. Luque is in the province of Cordoba in Andalusia, Spain. This photo was taken on a sunny day in April of 2008. This photo was taken with a digital camera.